Robert Howard Webb of Lincoln, Massachusetts, and Brooklyn, New York, died Aug. 23 of Lewy body dementia and Parkinson’s Disease. 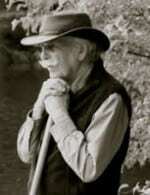 Webb was born Oct. 17, 1934, to Kenneth and Susan Webb, founders of the Farm and Wilderness Camps in Plymouth, Vermont. He spent his childhood exploring the woods and trails of the Green Mountains, cultivating a lifelong love of the outdoors. Rob Webb’s degrees (Harvard, Rutgers, Stanford) were in physics but he said of himself, “I am an inventor.” The majority of his career was spent affiliated with Schepens Eye Research Institute and Wellman Laboratory at Massachusetts General Hospital, inventing diagnostic medical instrumentation, including the sccanning laser ophthalmoscope, that spawned hundreds of research projects. He was on the faculty of Harvard Medical School as associate professor of ophthalmology and of dermatology. Colleagues and students admired Webb for his honest, irreverent way of looking at the world and his ability to expect, demand, and bring out the best in everyone. Webb’s inventiveness was evident in other ways. For a car with no front defroster, he rigged a vacuum cleaner hose from the rear defroster; the front passenger’s job was to hold it up to the windshield while he drove. His “blab off” also predated TV remote controls. Webb had the ability to recite just the right poem for any occasion, from Blake and Yeats to “I eat my peas with honey….” He loved music. His skill at reading aloud was unequalled, and his daughters were introduced to classics from Homer to Winnie-the-Pooh. For many years, Webb made silver jewelry and blown glass ornaments. He was an expert, untiring skier, and was patient with skiing companions of all levels. No detour was too long for ice cream. In recent years he enjoyed Dance for PD classes with his wife. People easily recognized Webb from the broad-brimmed hat he always wore, but he struggled with prosopagnosia (face blindness). After learning of the condition in 2006 from The Boston Globe, he would confidently explain to people that he was not snubbing them – he really did not recognize them. He was a baby whisperer to four grandkids. Upon hearing that his first grandchild was about to be born, he quipped, “Can’t we just go to the local hospital and look at the newborns there? You’ve seen one newborn, you’ve seen them all.” He then drove through a winter storm to the hospital in Maine, where he immediately began rocking and singing to his grandson with tears in his eyes. Rob Webb is survived by his wife Sonja Johansson, daughters Kristi Webb (Todd Woerner), Meg Webb (Walter Love), stepdaughters Sarah Johansson Locke and Rebecca Johansson Locke (Eric Sillman), grandchildren Caleb and Sophie Love-Webb, Toby and Lena Sillman, sister Miki Webb, and nieces and nephews. His older sister Sukie Webb Hammond predeceased him. A memorial service will be held on Nov. 10, 2018 at Cambridge Friends’ Meeting House, 5 Longfellow Park, Cambridge, at 1 p.m. Donations may be made to the Farm & Wilderness Foundation (farmandwilderness.org), the Parkinson’s Foundation (parkinson.org) and Dance for PD (danceforparkinsons.org).